In the heartwarming live-action adventure Disney’s Christopher Robin, the young boy who loved embarking on adventures in the Hundred Acre Wood with a band of spirited and loveable stuff animals, has grown up and lost his way. Now it is up to his childhood friends to venture into our world and help Christopher Robin remember the loving and playful boy who is still inside. Life isn’t heart to to the expansive tenderhearted fantasies of childhood. Try as we might to hang onto the wonder and the magic, whether real or imagined, adulthood has a way of curdling all the innocent joy that came before. 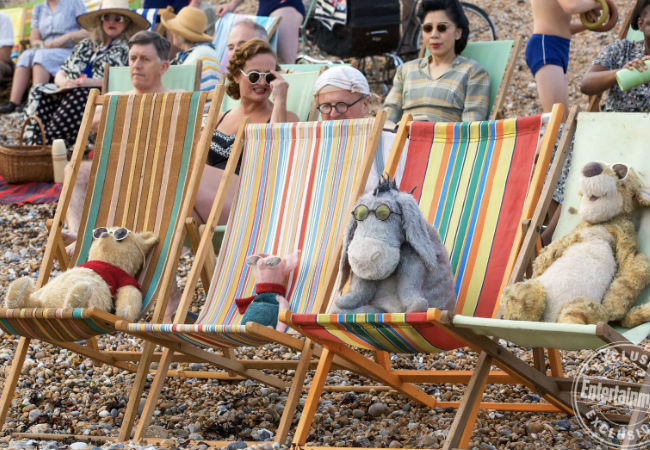 While everyone else sees Pooh, Piglet, Tigger and Eeyore as stuffed toys, Christopher Robin, who in real life had his own complicated relationship with his father’s much-loved literary creations, sees them as the real, wise friends of old, and this being a Disney film, no doubt finds his way back to the childhood bliss he once knew. That’s very rarely the case for the rest of us but I’m happy to spend the time I’m watching Christopher Robin believing you can go back to the giddy hope and unvarnished eagerness of childhood and maybe, just maybe, bring some of it back into your sadly-depleted adult present. Christopher Robin opens 3 August USA and 20 September Australia.